Jeans and tops are what girls like to wear everyday. But If you get eating same thing everyday u will get bore of it. So its better that You should experiment with your looks. Now here sari plays an important role. After reading this most of girls reaction will be like WHAT SARI :O that’s what aunties wear. But girls its not like that if you wear sari proper way and choose sari design which is trend then Every one in college will be begging you to go on a date with him. Now If you are thinking to drop idea of wearing sari as you don’t know how to wear it,then hold on Darling Just Click Here :D. You will get to know how to wear a saree. I will post here latest design of sari that are much in trend and can be also available in market which you can purchase by spending few bucks. 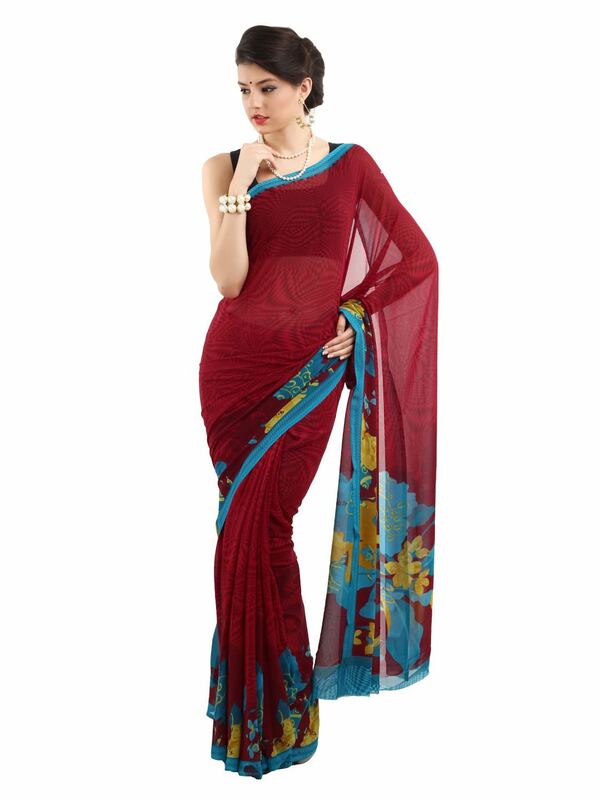 Check out here latest sari for girls that will give a different yet amazing look of you. What Should I Wear for College?